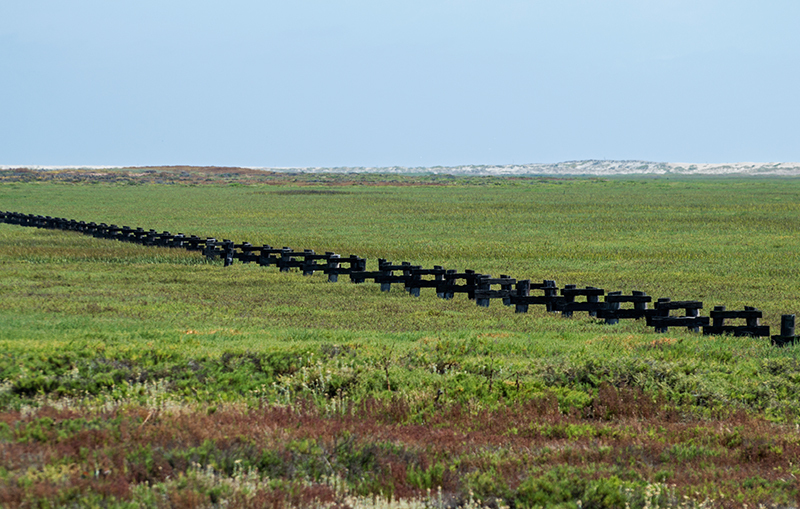 While at one of the premier bird watching areas in all of California, I was laughing because after twenty minutes I hadn’t seen one bird, not one! 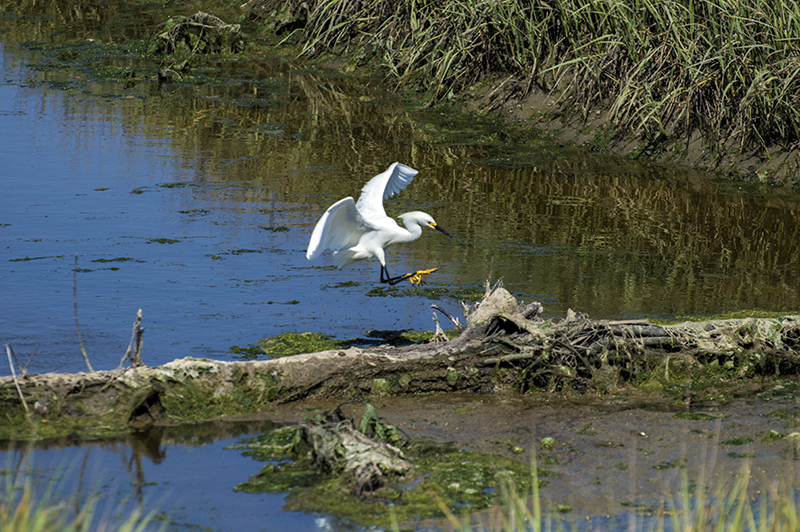 So I started taking other shots and was prepared to write a story about all the other attributes of the estuary when a bird finally appeared about 30 feet from me. 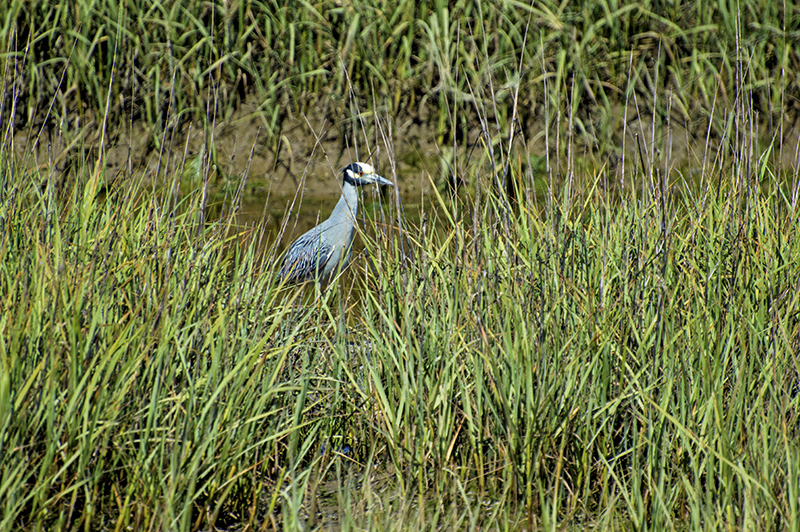 It was a Yellow Crowned Night Heron and it saved the day, I saw a bird! 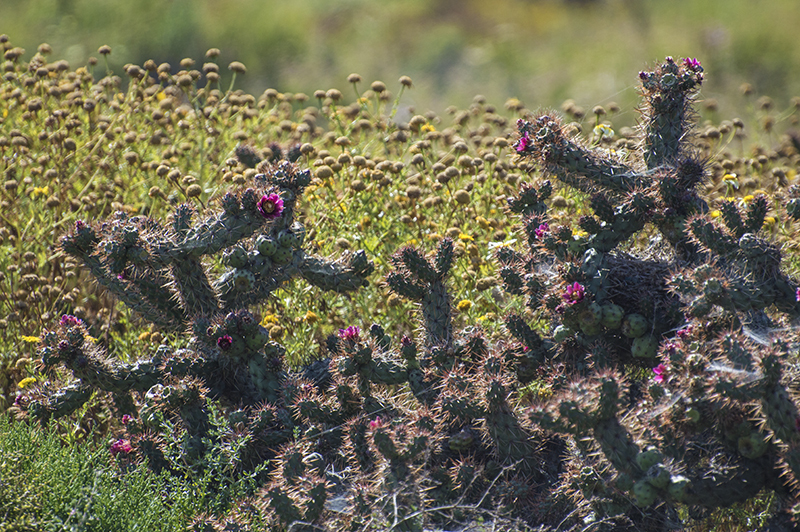 However, there were plenty more to see as we traveled more into the reserve. 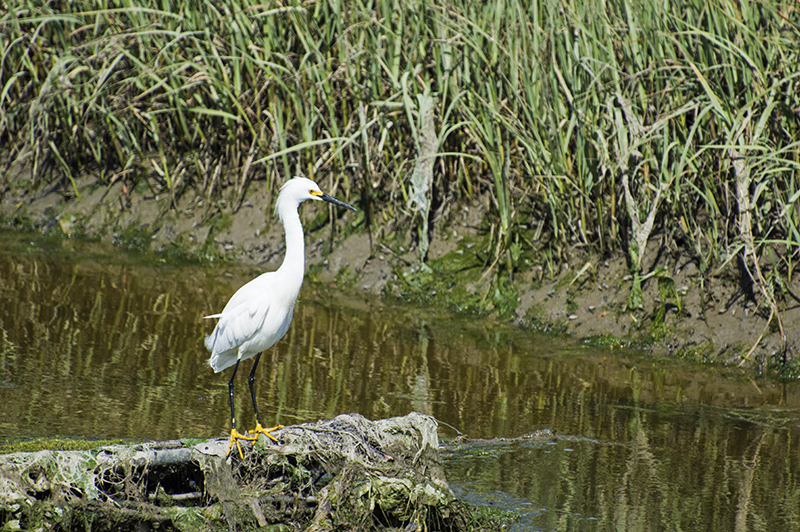 We didn’t visit the Tijuana Estuary just to see birds. 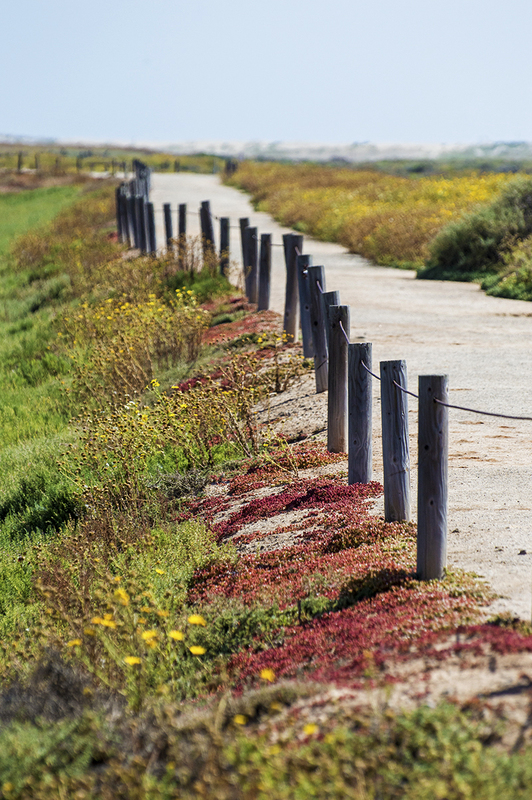 I had seen the area from the distance while visiting Imperial Beach many times before so it seemed like an interesting place to explore on this breezy Sunday afternoon. The reserve as far as you can see. 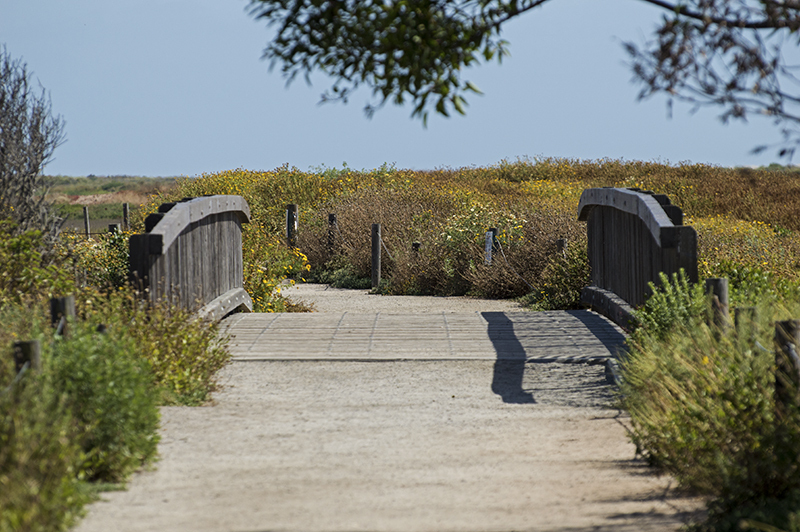 As mentioned, the Tijuana Estuary is one of the most foremost bird watching areas in California; however, even if you are not into birds, it has great trails, scenic views, plus all of the ambient sounds of nature. 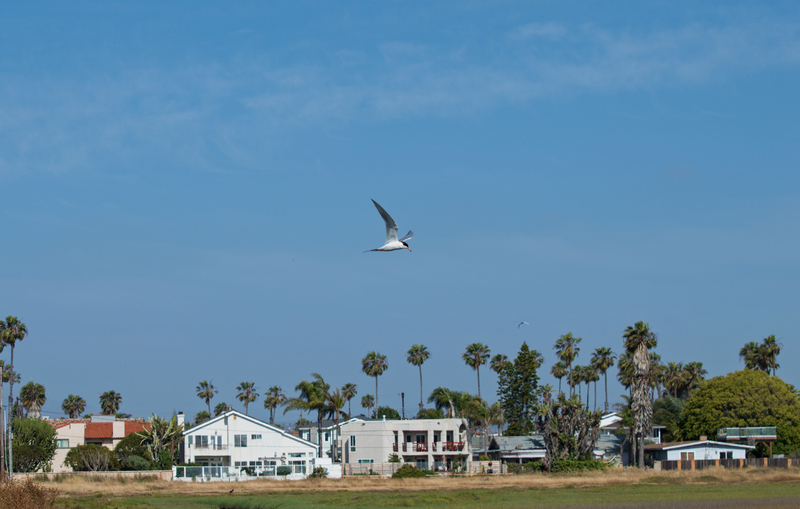 The clatter of waves crashing on the sand could be heard in the distance at Imperial Beach, and you could hear the subtle chirps from birds all around even if you couldn’t see them. 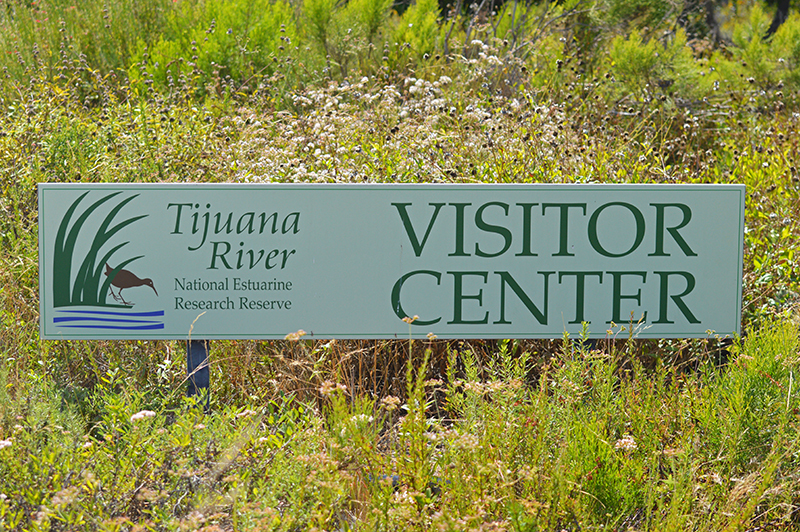 The Tijuana Estuary Visitor Center is open Wednesday through Sunday, 10:00 am to 5:00 pm, but the trail hours are dawn to dusk. 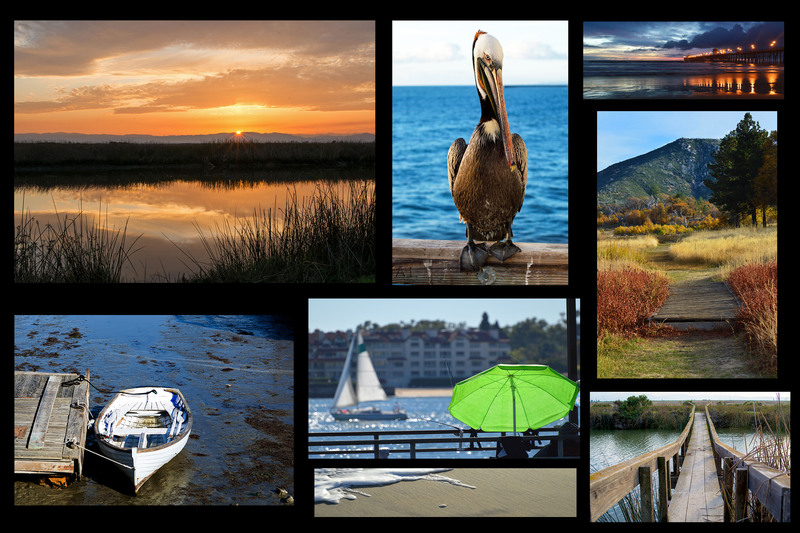 There is no entrance fee and parking is plentiful and free. They even let you check out a nice pair of binoculars at no cost, all you need to leave is a license or car keys. Inside the visitor center they have displays, interactive exhibits, a gift shop, and lots of information about the estuary and the birds. I suspect that you were probably impressed that I knew the name of the bird I photographed, but I can’t take the credit; the center has all sorts of information on the birds that you may see in the reserve. Just outside the door of the center you will find trail maps, bird identification pamphlets, and other useful information. 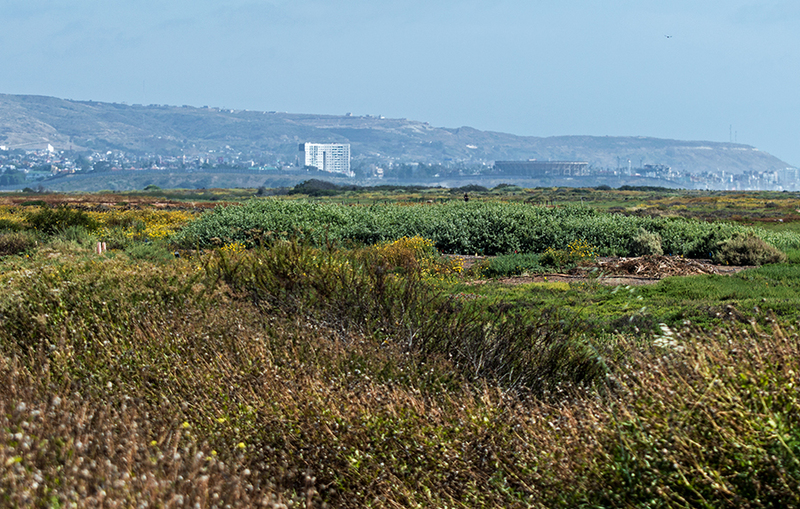 The Tijuana Estuary is one of the largest coastal wetlands in Southern California and it is located right next to the border of the U.S. and Mexico. In the distance you can see the hills of Mexico and on the coast you’ll see a high rise that I presume is a hotel and the old bullring stadium. The stadium is now home to concerts, sporting events, and other cultural activities. 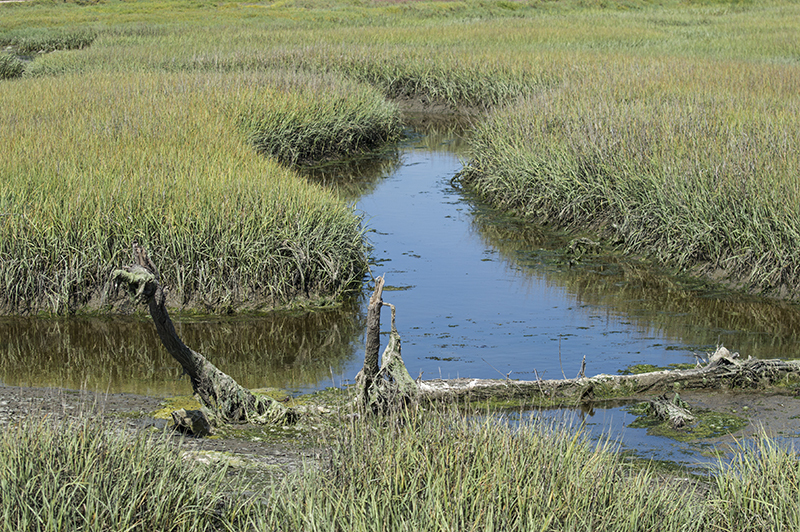 The reserve has about four miles of trails and small waterways intertwine throughout the marsh. 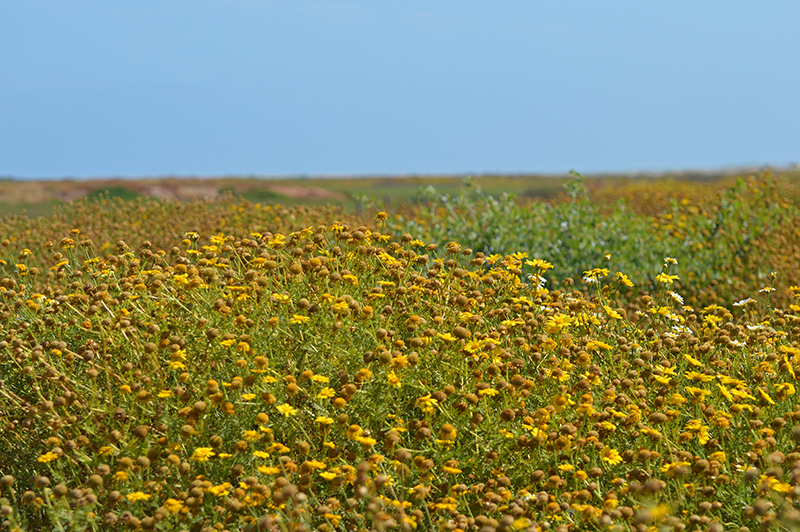 This site is a breeding, feeding, and nesting grounds for over 370 species, including six endangered. 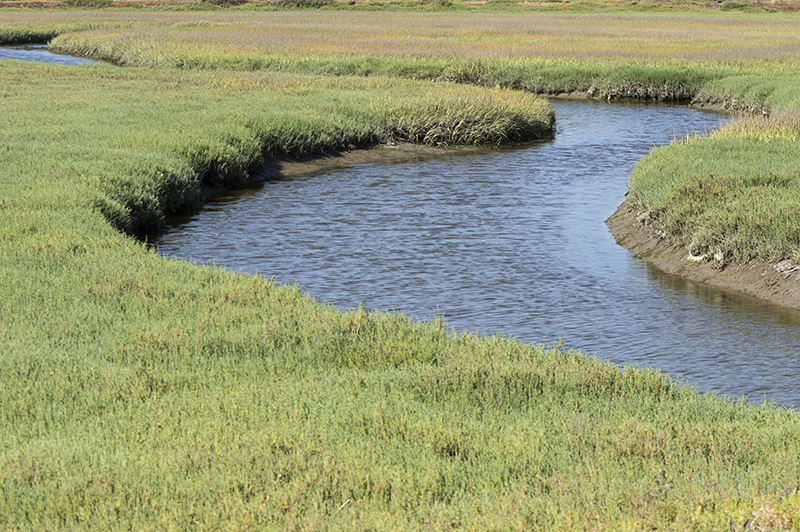 An estuary in case you didn’t know is a coastal area where salt water from the ocean mixes with fresh water from rivers, rainfall, and upland runoff. I was trying to capture the white bird coming around the corner. Then I saw the photo and noticed the bird taking flight in the middle right. They do offer free walking tours if you feel like learning more about the area and I think I might have signed up but it was later in the day and none were available. We were satisfied just exploring on our own with only a few people on the trails with us. We walked about a mile in and sat at a few benches along the way that provided excellent viewing points. 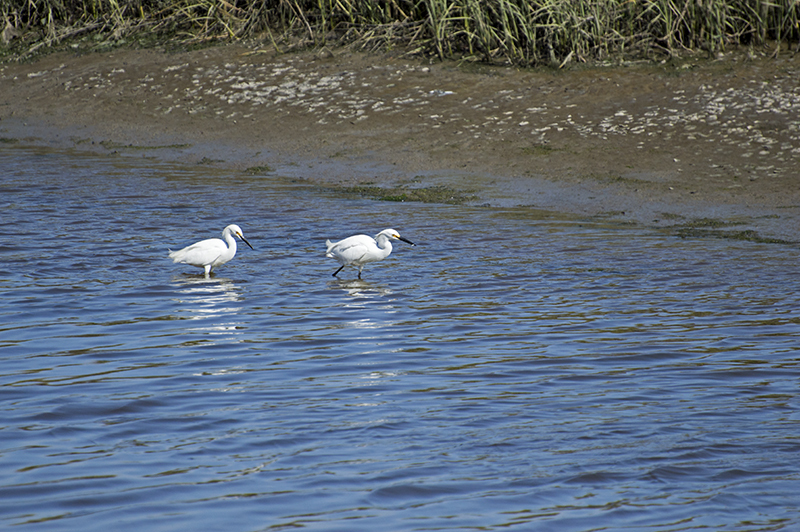 There weren’t hundreds of birds that I was expecting but we did get to see quite a few. 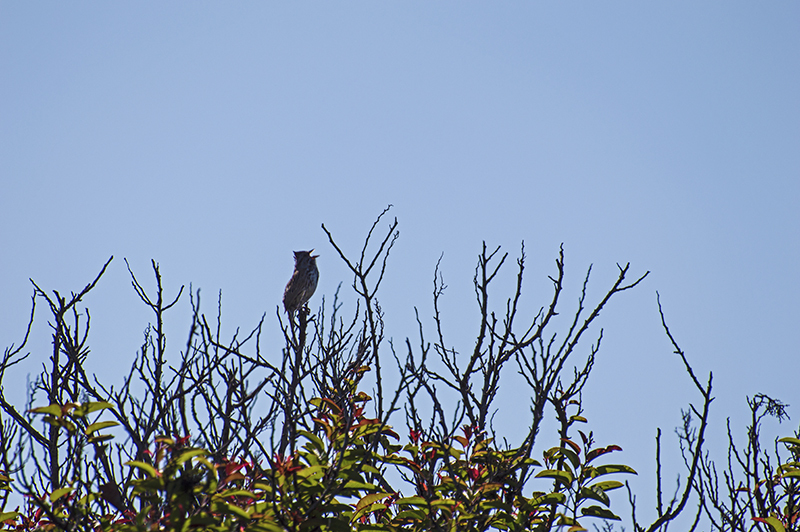 I wish I had a better telephoto to zero in on some of them but it was a nice day just to be out in nature. 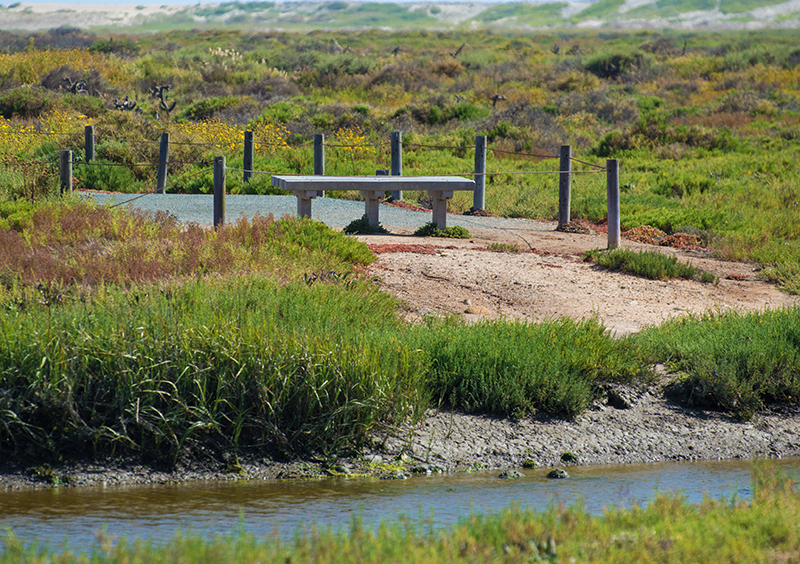 Sitting on the benches with green marsh as far as you could see was relaxing and the warm sun beating on our skin was exactly why it is great to be outside! 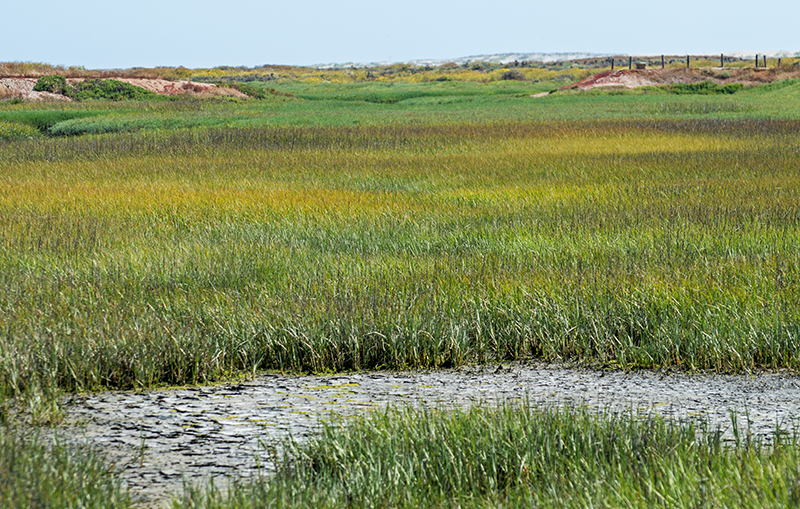 It wasn’t just the marsh, there were waterways, native cactus, and in the distance, sand dunes. Oh, and a bird or two here and there. 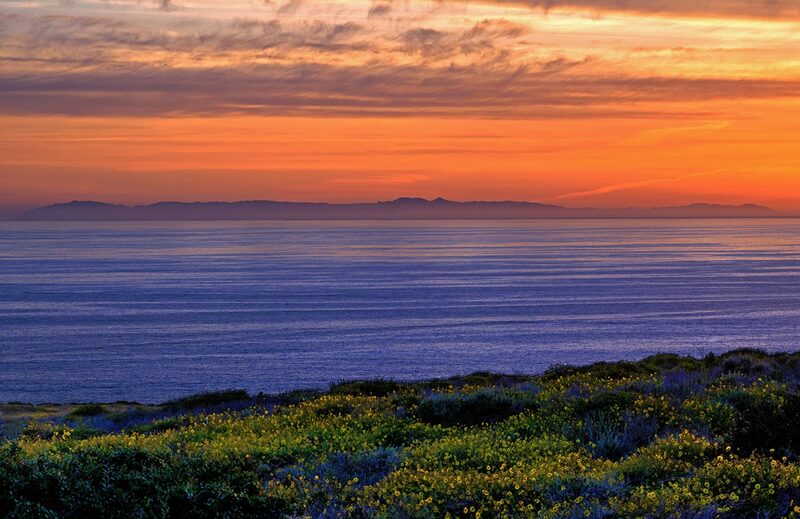 This reserve is a popular spot for visitors as they estimate that over 75,000 people visit it annually and from over 21 different countries. 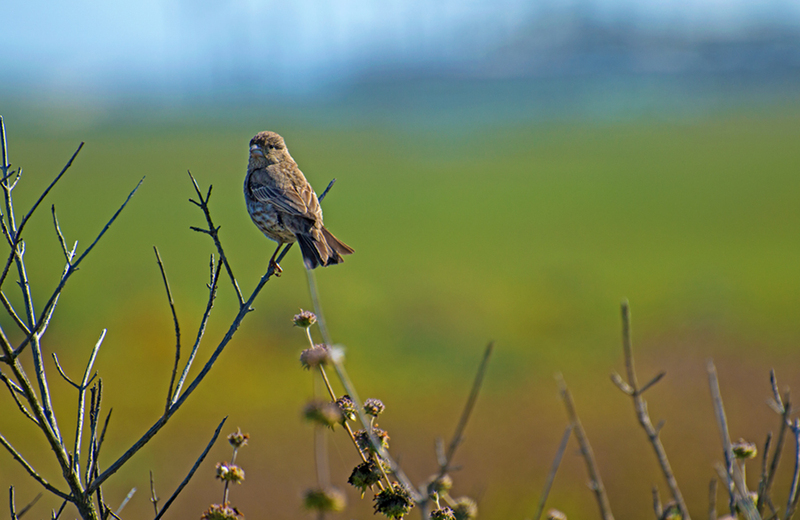 I am told September is the best month as birds are migrating at that time. 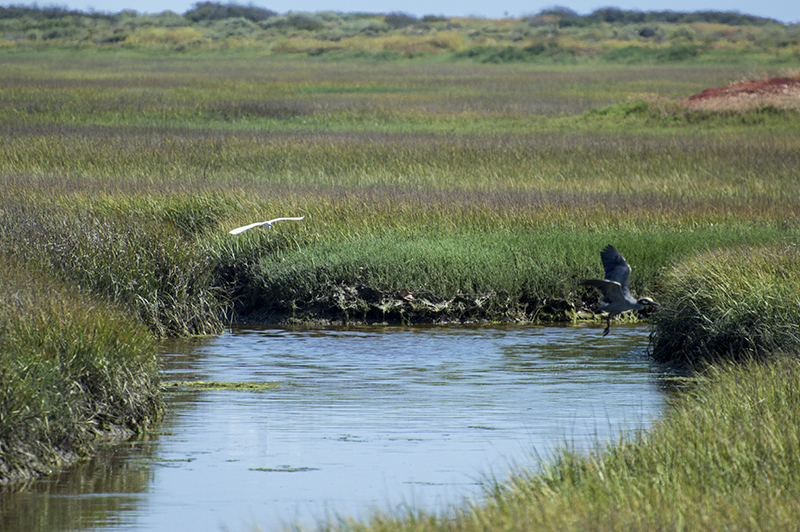 I am glad I experienced it with all the sights and sounds that come from an active estuary/reserve. It was well worth the one hour drive and even better that it was free. If you are ever in the Imperial Beach area, be sure and stop by the Tijuana Estuary and if you came to see some birds, be patient, they will come!